TheSAM R34/35SiPsare supported by certified reference designs and proven interoperability with major LoRaWAN™ gateway and network providers, significantly simplifying the entire development process with hardware, software and support. The devices also provide the industry’s lowest power consumption in sleep modes, offering extended battery life in remote IoT nodes. Most LoRa end devices remain in sleep mode for extended periods of time, only waking occasionally to transmit small data packets. 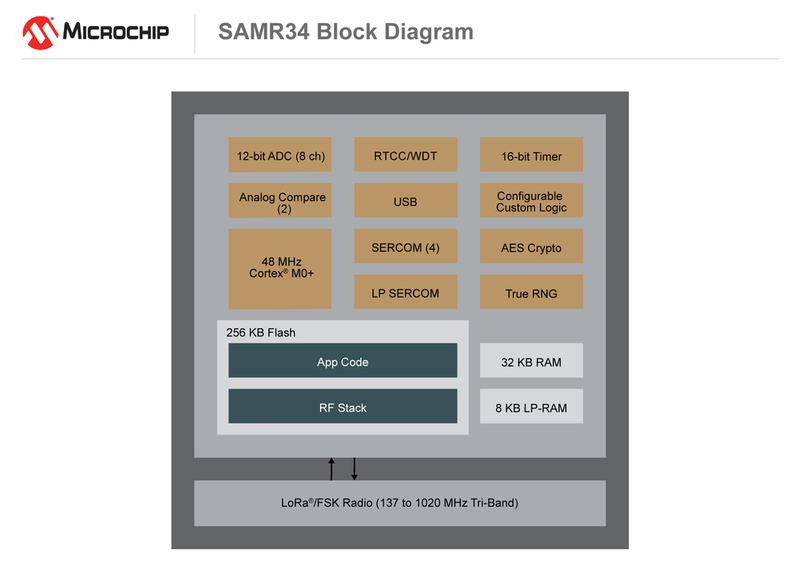 Powered by the ultra-low-power SAM L21 Arm®Cortex®-M0+ based MCU, the SAM R34 devices provide sleep modes as low as 790 nA to significantly reduce power consumption and extend battery life in end applications. 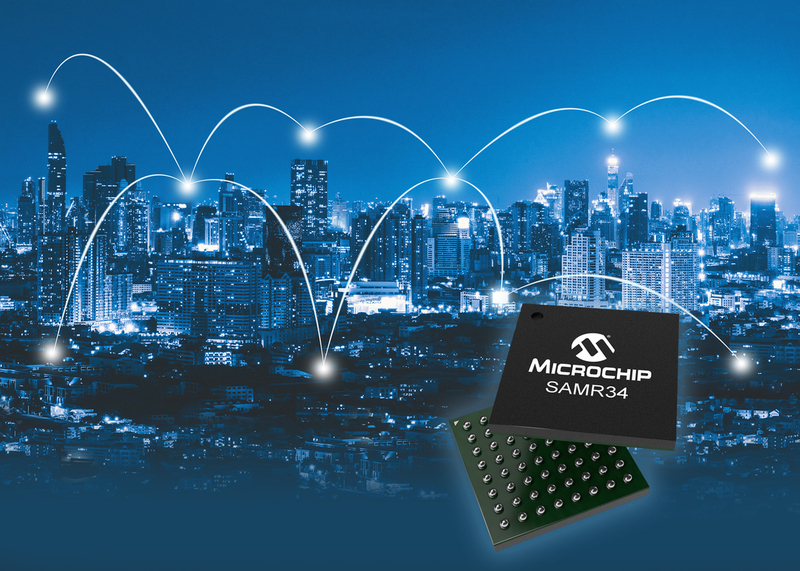 Highly integrated in a compact 6 x 6 mm package, the SAM R34/35 family is ideal for a broad array of long-range, low-power IoT applications that require small form factor designs and multiple years of battery life. LoRa technology is designed to enable low-power applications to communicate over longer ranges than Zigbee®, Wi-Fi®and Bluetooth®using the LoRaWAN open protocol. Ideal for a range of applications such as smart cities, agricultural monitoring and supply-chain tracking, LoRaWAN enables the creation of flexible IoT networks that can operate in both urban and rural environments. According to the LoRa Alliance™, the number of LoRaWAN operators has doubled from 40 to 80 over the last 12 months, with more than 100 countries actively developing LoRaWAN networks.